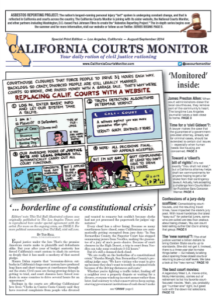 We started the California Courts Monitor in 2012 as an online news source focused on civil courts news in California. 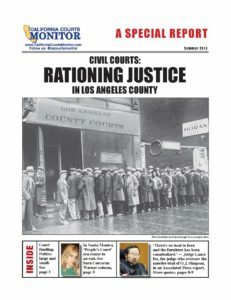 Via social media a several publications, we quickly grew our coverage to include national issues and added this second site in 2014 – the National Courts Monitor – to focus on national civil courts news. 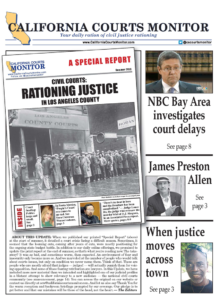 Produced by Confocal Creative in collaboration with the National Courts Monitor A true-life legal thriller, “UnSettled” follows the bogus lawsuit against a small town car dealership all the way to Washington DC, where politicians take big money from asbestos lawyers. “UnSettled” tells the story of the public health tragedy of asbestos exposure and the cadre of wealthy lawyers who have figured out ways to keep half of all the money awarded to sick and dying people.